Specifically made for refinishing. Customized to become an integrated part of the fixture. 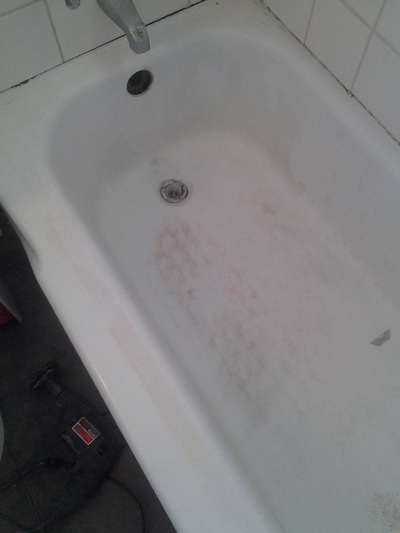 Dallas Bathtub Refinishing has been using Synthetic porcelain since 2007! This video shows a company using synthetic porcelain for Bob Villa of "This old House". This is not my company. I am not in any way, shape or form affiliated with this company. It is simply a good explanation. Judging by the age of the video I would say this is 1st generation synthetic porcelain. As of 2012 -2014 we started using 2nd Generation Synthetic porcelain. This allows the professional to tailor the coating to the need of the surface. 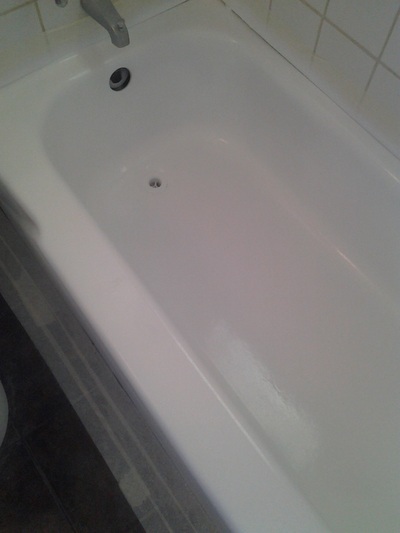 For example an acrylic bathtub will need to flex a little and a porcelain bathtub would not. 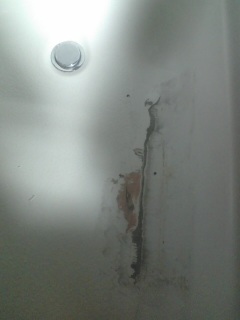 3rd Generation is now being used Fluoropolymer Coating as endorsed by the Professional Bathtub Refinishing Association. What is Fluoropolymer Coating (Synthetic Porcelain)? 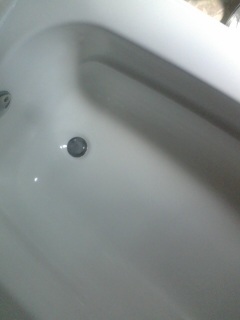 Fluoroplymer surface is a technological breakthrough in bathtub refinishing. With the old Epoxy and urethane paints the technician had to apply a very thick application just to make the surface last. With that came the 'orange peel" look and dull areas and even the most seasoned technicians would find themselves fights runs in the coating. Synthetic porcelain was the first generation of true bathtub refinishing coatings that worked great for years on Porcelain, fiberglass, acrylic and cultured marble surfaces. The addition of Polyester, Silicone, fiberglass resin brought the technology to a new light. The Idea was to create a strong coating that would lay on thin so the gloss could truly come to life. What was achieved was not only a new style ultra glossy coating, but one that was had chemical properties that would change when activated by heat. 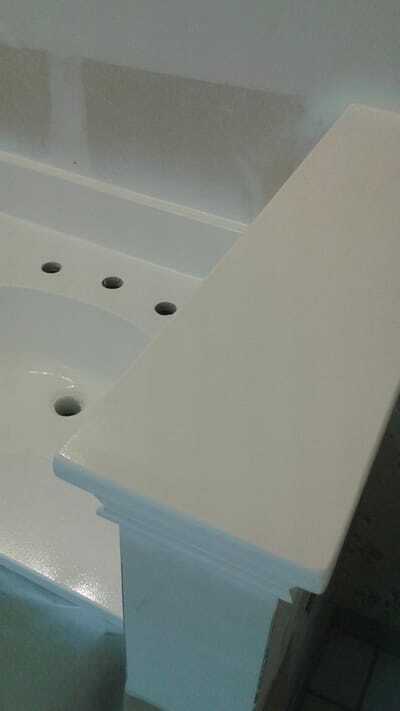 The birth of the Fluoropolymer coating meant true bathtub refinishing, where before at best was an upgraded bathtub painting. 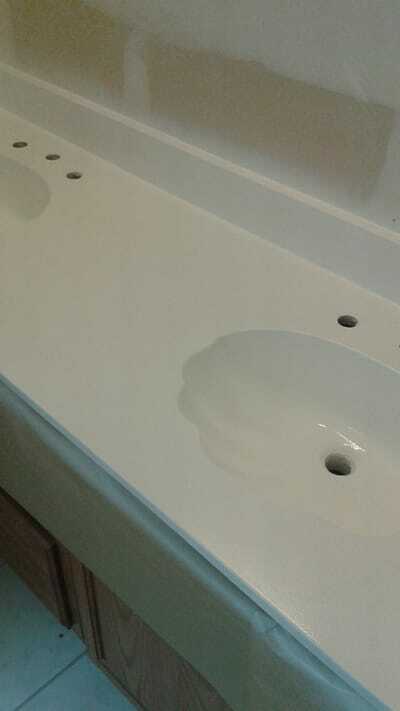 Now we are making the new surface an integral part of the tub, tile, vanity or whatever it is being refinished. The best part is with heat application it dries in 4 minutes and ready for use in only 24 hours! No Dust worries. Nothing to remain tacky for hours attracting loose dirt, dust and hair. 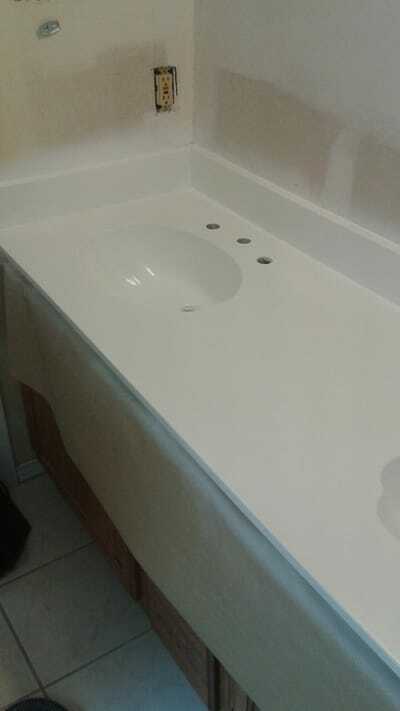 This is Bathtub Refinishing at its best, This is bathtub refinishing the way bathtub refinishing was meant to be This is Synthetic Porcelain Technology! It is fair to say when Fluoropolymer coatings are etched and chemically welded on a molecular level into the old surface it is like a spray in bathtub liner. It mimics porcelain in look and feel.